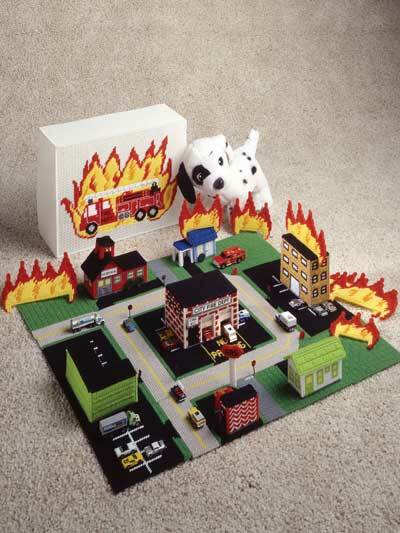 Your child will have many hours of creative playtime with this realistic Firefighter’s Town! 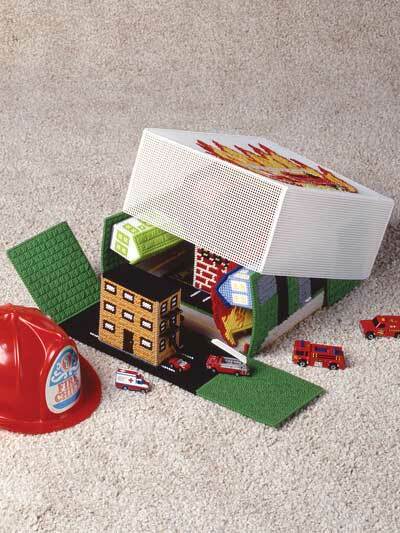 This cleverly detailed town features garage doors that slide up and down, red-sequined stop signs on the streets and even a fire escape on the apartment building. All are made using 7-count plastic canvas and worsted weight yarn. The base and buildings are assembled, so the outer base pieces fold up and the storage lid fits over them. Available as a PDF download only. 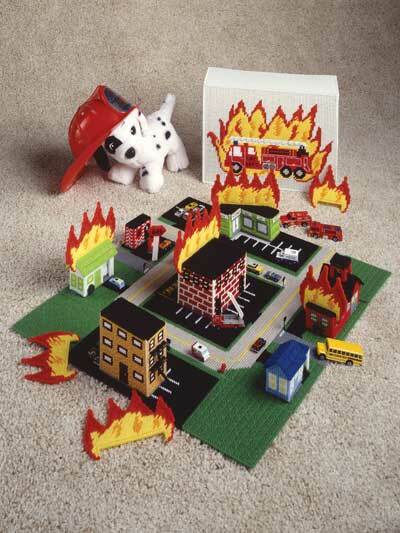 I completed the Firefighter's Town sometime last year. It turned out so well that I became hooked on plastic canvas, especially the projects/patterns that are self-contained such as this. I also purchased the Motocross and Racetrack as well as the Fashion Doll Travel Trunk and the Strawberry Dollhouse. As I stated previously -- I'm hooked! Love this pattern book. The instructions are easy to understand. I used only clear canvas when making it and it looks fine. My canvas was also thin so I doubled it up to make it stronger. My nephews will love playing with it.